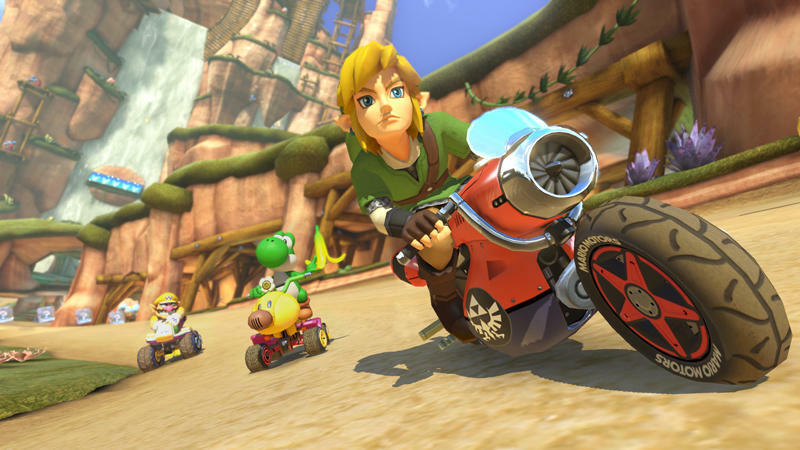 Yesterday afternoon, a leak lead to the full-blown announcement of Mario Kart 8‘s first round of paid DLC. Late last night, Nintendo sent around an official press release detailing exactly how much the packs will cost and most of what they’ll include. So, we have two packs officially announced. The First pack will release in November of this year, and the second will come in May of next. Nintendo breaks down both packs as follows in the press release. The good news here is that, much like with Mario Golf on the 3DS, pre-purchasing both packs will net gamers some extra goods and a bit of a discount. Here’s that rundown, again, from Nintendo. The packs are available for pre-purchase today, whenever the eShop updates. So you’ll be able to drop $11.99 for both packs, and Nintendo will hand you the Yoshi and Shy Guy colors instantly. It took Nintendo a long time to get aroud to DLC, but now that they’re doing it, they’re doing it with exceptional value. These two packs include 16 courses, that’s half of the retail game at launch. 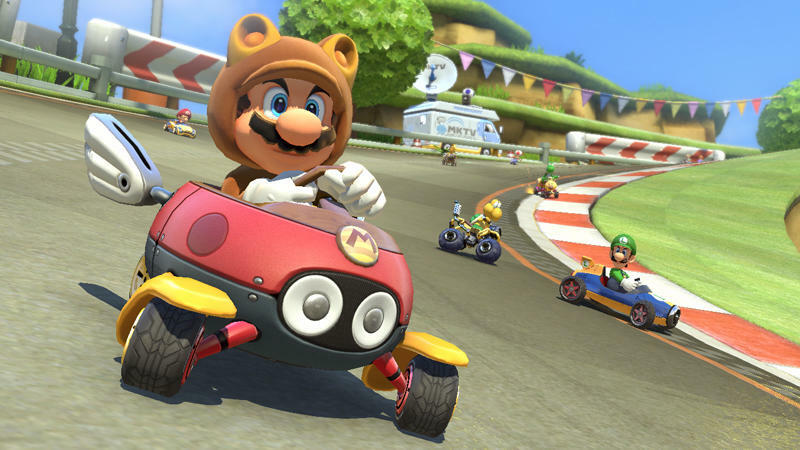 We’re getting 50% more game for $12, plus some karts and characters that we normally wouldn’t see in a Mario Kart game. What do you think of this DLC? Are you buying? 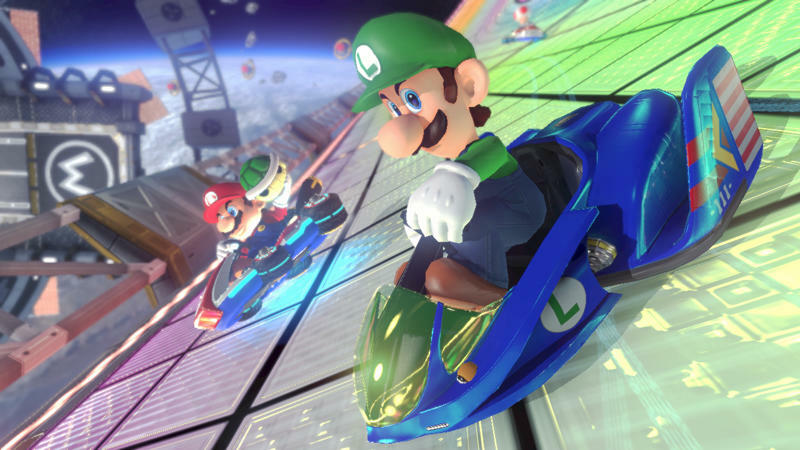 REDMOND, Wash.–(BUSINESS WIRE)– Two new downloadable content packs will take the world of Mario Kart 8 in directions the franchise has never seen before, while significantly expanding game-play options. The packs, which launch this fall and in spring of 2015, and are available for advance purchase starting Aug. 27 at $7.99 each (or $11.99 for both), deliver a ton of new content, including first-time crossover characters like Link from The Legend of Zelda franchise and both Isabelle and the Villager from the Animal Crossing series. In addition to these two new downloadable content packs, a previously announced game update goes live Aug. 27 that adds a variety of new features, including three free Mercedes-Benz cars that players can race: the modern Mercedes-Benz GLA, the 300 SL Roadster from the 1950s and the legendary Silver Arrow of the 1930s. Go to http://ninten.do/6181WR6B to view a video of the in-game karts in action. Each pack will contain two new cups, each with four courses, which, in total, increases the number of currently available courses by 50 percent. 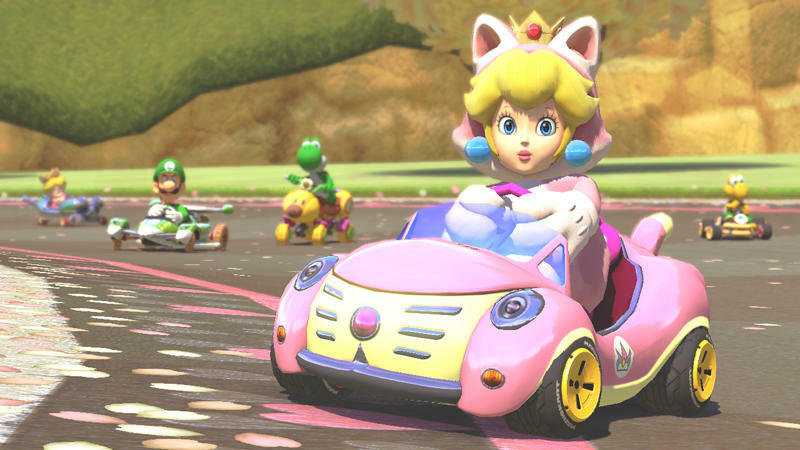 The DLC packs include classic courses like Wario’s Gold Mine from Mario Kart Wii, as well as new courses, some taking place in the worlds of The Legend of Zelda andAnimal Crossing. New vehicles will also arrive with each pack, including the Blue Falcon kart representing the F-Zero franchise in the first DLC pack. Mario Kart 8 owners who purchase both packs starting Aug. 27 will get access to eight new colors of Yoshi and eight new colors of Shy Guy to race with immediately. To purchase the packs in advance, users with a broadband Internet connection can click the new “Shop” icon in the game or visit the Nintendo eShop on Wii U. 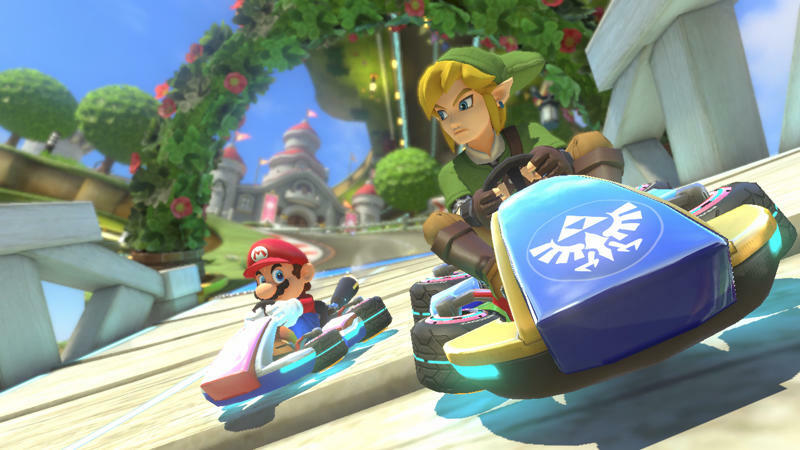 For more information about Mario Kart 8, visit http://mariokart8.nintendo.com. Remember that Wii U features parental controls that let adults manage the content their children can access. For more information about this and other features, visit http://www.nintendo.com/wiiu. About Nintendo: The worldwide pioneer in the creation of interactive entertainment, Nintendo Co., Ltd., of Kyoto, Japan, manufactures and markets hardware and software for its Wii U™ and Wii™ home consoles, and Nintendo 3DS™ and Nintendo DS™ families of portable systems. Since 1983, when it launched the Nintendo Entertainment System™, Nintendo has sold more than 4.2 billion video games and more than 670 million hardware units globally, including the current-generation Wii U, Nintendo 3DS and Nintendo 3DS XL, as well as the Game Boy™, Game Boy Advance, Nintendo DS, Nintendo DSi™ and Nintendo DSi XL™, Super NES™, Nintendo 64™, Nintendo GameCube™ and Wii systems. It has also created industry icons that have become well-known, household names such as Mario™, Donkey Kong™, Metroid™, Zelda™ and Pokémon™. A wholly owned subsidiary, Nintendo of America Inc., based in Redmond, Wash., serves as headquarters for Nintendo’s operations in the Western Hemisphere. For more information about Nintendo, please visit the company’s website at http://www.nintendo.com.